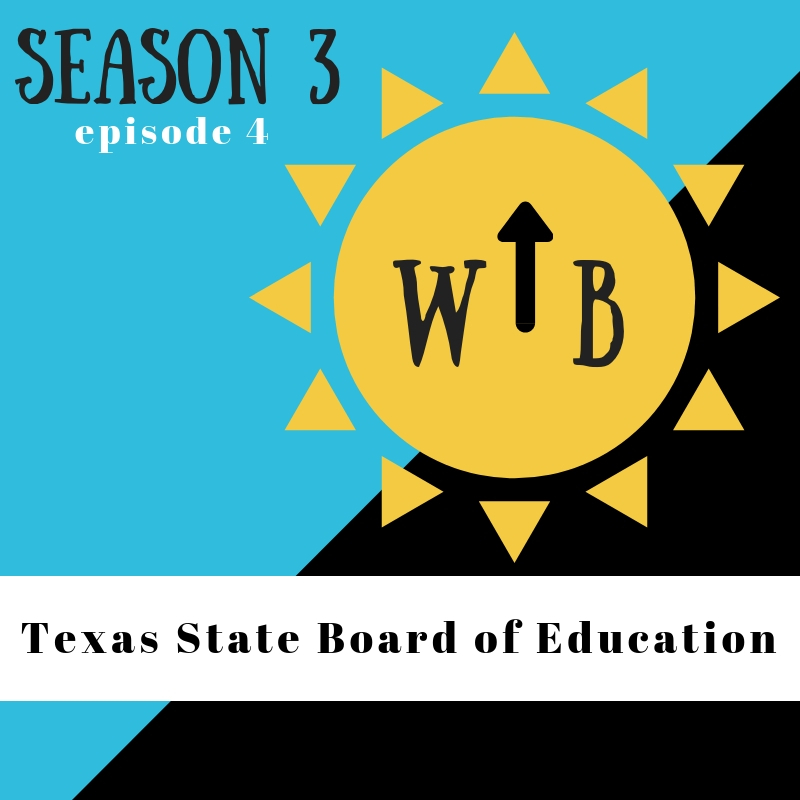 In today’s episode, we hear directly from the Democratic candidate for place 7 for the Texas State Board of Education and why it is important to pay attention to this agency. Dr. Matt Robinson: Facebook. Website. Articles: (1)(2)(3) He believes in abstinence only education but it doesn’t work. District 7 map and a quick list of the counties in our district: Hardin, Jefferson, Galveston, Liberty, Chambers, Brazoria, Fort Bend. – Critical thinking is gobbledygook. Definition of gobbledygook. – He thinks history can only happen/matter if you are dead. 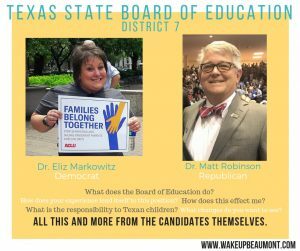 – He worked on the board of education but doesn’t believe that education should be the government’s responsibility. – Oh and he was indicted for violating the Texas Open Meeting Act. The charges were dropped after he took a class on the Act, but he was called into question again in 2016 later over some emails (2).